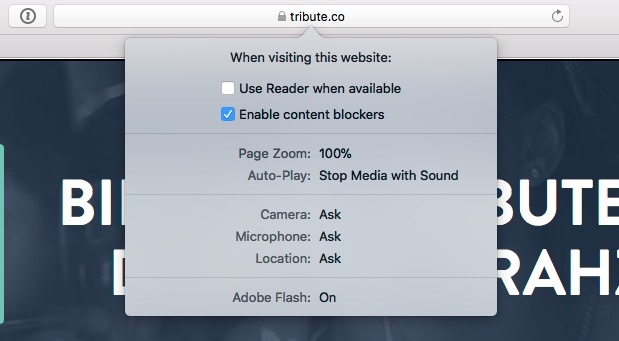 (Safari browser) How do I record a video using Safari on a Mac desktop/laptop computer? John Feb. 15, 2018, 9 p.m.
Safari on Mac desktop and laptops requires Adobe Flash to record videos, which often causes people problems. 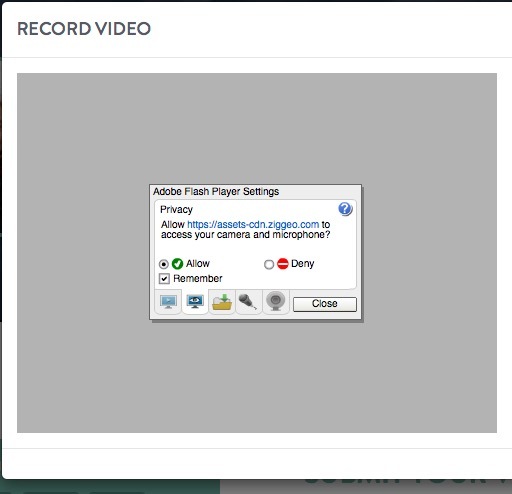 We recommend using Chrome or Firefox to record a video on your Mac desktop or laptop. 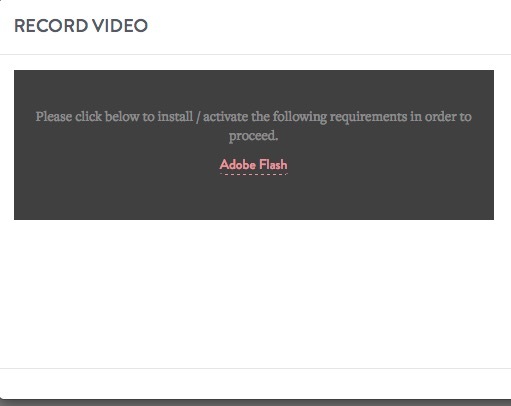 Step 3 - Click the link "Adobe Flash" (in red letters) to enable Flash. 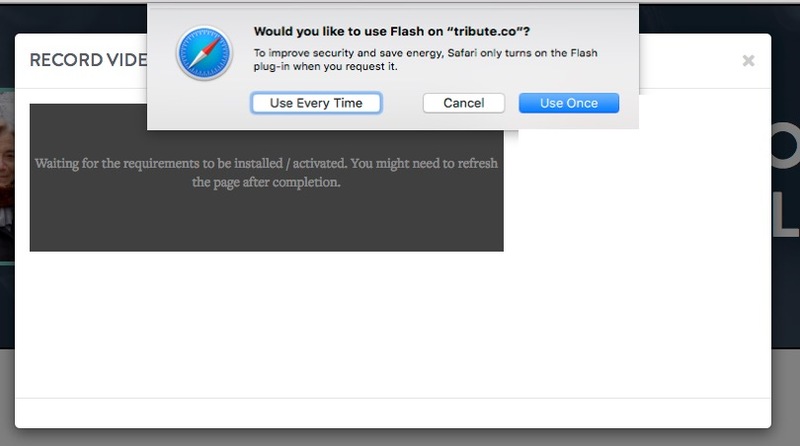 If you don't have Flash installed Safari will prompt you to install it. 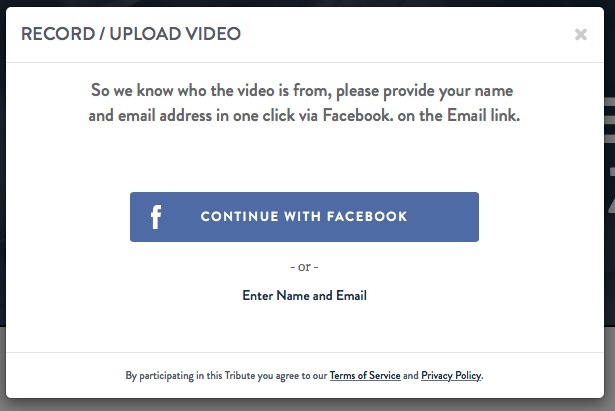 Step 5 - After clicking the "Record Video" button again, you'll be asked for your permission to use Flash on tribute.co. Click the "Use Every Time" button. Step 6 - Adobe Flash may display it's privacy settings. 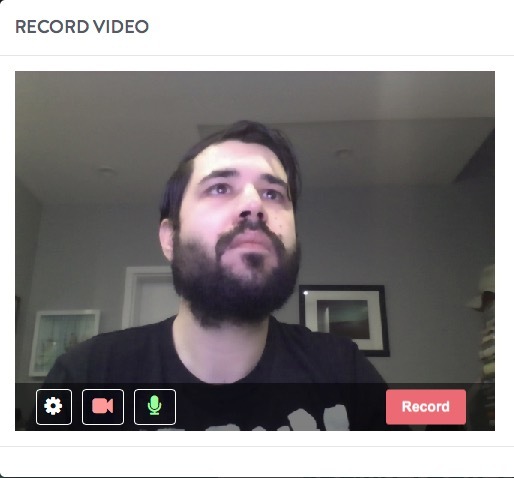 You need to allow access to the webcam to record your video. Click "Allow" and check the "Remember" box. Now click the "Close" button. 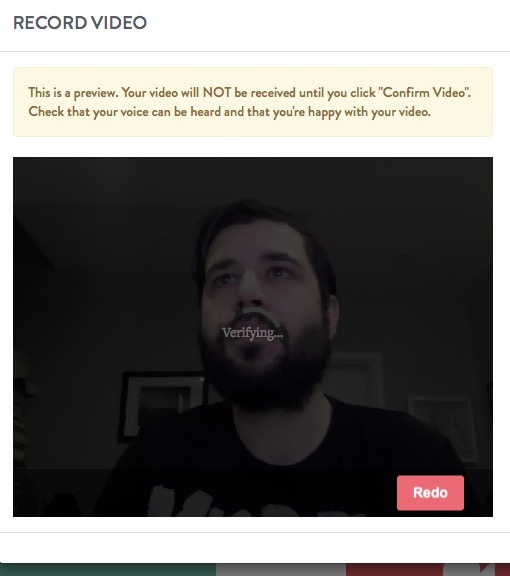 Step 7 - Your webcam should turn on and you'll see your face. You might say something out loud now to check your microphone settings. If your microphone is working, the microphone icon will turn green. 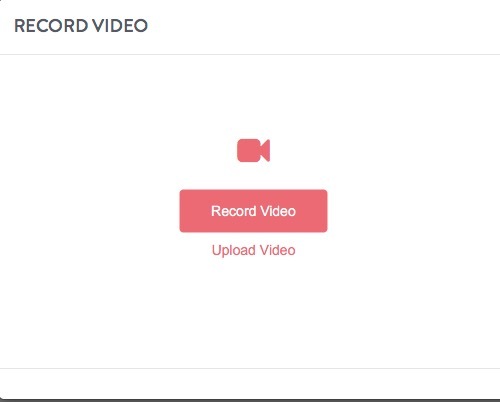 Click the "Record" button to start recording your video. 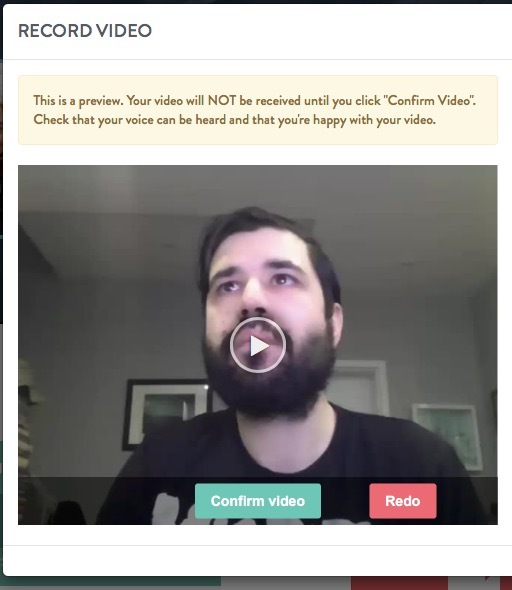 Click the "Stop" button when you're done recording your video. 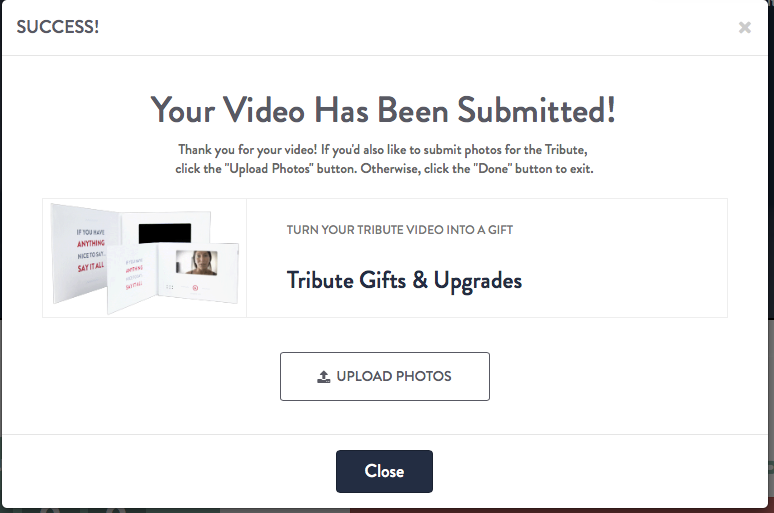 Step 11 - Just to make sure we received the video successfully, check your email for a confirmation. It could take as long as 30 minutes to receive a confirmation email. If you're having trouble enabling Adobe Flash, follow these steps. 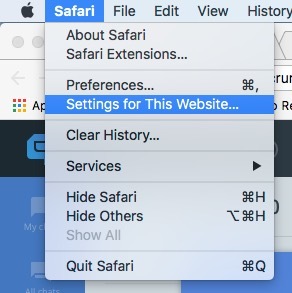 Step 1 - Click the Safari menu in the upper left of the screen and select "Settings for This Website"
Step 2 - At the bottom of the menu, make sure Adobe Flash is set to "On"